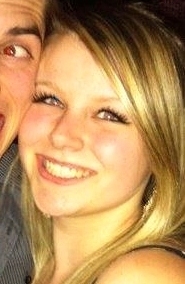 Meet Shannon Clayton, Mozilla London’s new Office Services Coordinator. Shannon is quickly organizing the London office with team lunches, space guidelines and a friendly welcome at our front reception. Shannon’s presence could not come at a better time, as more and more events and community members flock to the beautiful London site. Shannon joins Mozilla with 5 years of Catering and Hospitality experience. She is a trained chef (watch out for cupcakes, London!) and is working on her BA in Honours Politics, Philosophy and Economics. Shannon is politically-minded and is excited to share in Mozilla’s drive for the open web. We’re very glad to have Shannon join our team and the Mozilla community. Please stop by to say hello to her the next time you’re in London.